Wildly proclaiming, “I call shotgun!” is the approved method of declaring oneself supreme right-hand rider on an adventure. According to tradition, the fastest and loudest declaration of “I call shotgun” will earn the winning adventurer the ability to ride along in the front row. A seat with a view from which to experience each scene of the trip, while not sharing the power/responsibility of the driver. The prize is perspective, not control. Riding shotgun is about trust. 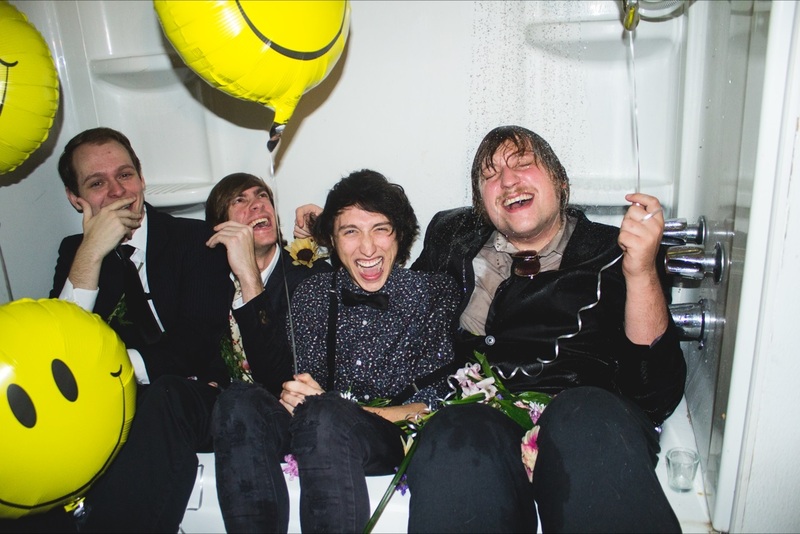 Interestingly, perspective is also what you’ll gain while watching the video for “I Call Shotgun” by South Carolina’s up-and-coming indie pop punk band, Happy, which Atwood Magazine is proud to be premiering today. Watch: “I Call Shotgun” – Happy. Happy. 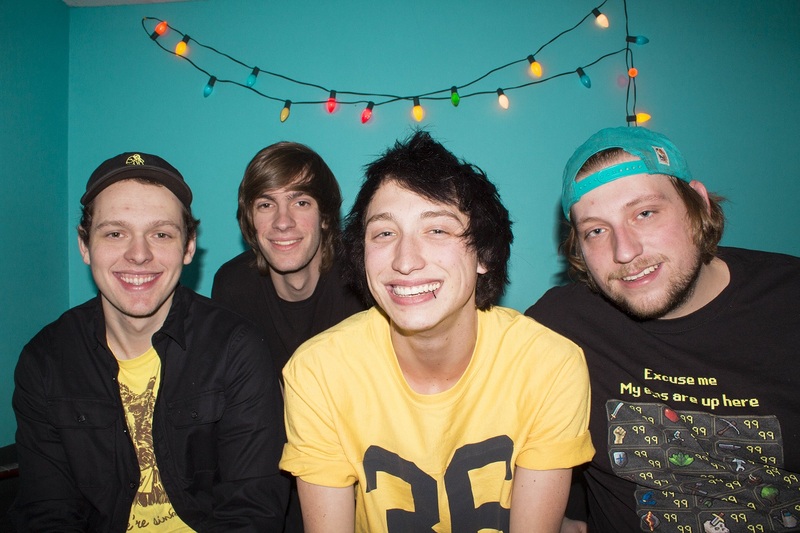 was formed in 2016 with the creative goal to “provide a sense of nostalgia for listeners with a sound that is full of infectious melodic hooks, oozing with catchy harmonies.” According to singer and lead guitarist Tate Logan, “We are spreading the message that you can create and achieve your own definition of happy. You don’t have to compare yourself to others or be afraid to think outside of the box or try new things or be who you are.” The atmosphere and music that Happy. create fits the needs of growing empaths young and old. It allows the listener to feel emotionally supported, while simultaneously deciding to enjoy life’s adventures, regardless of difficult or uncomfortable challenges. how did we get so stagnant? 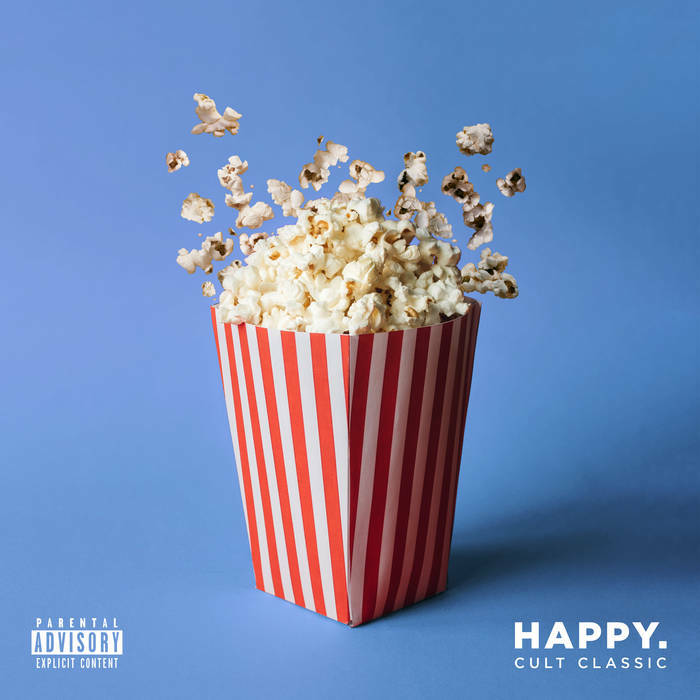 Released in July, “I Call Shotgun” is the fourth single off Happy.’s upcoming debut album Cult Classic (available September 7, 2018 via Rude Records). Happy. have been dropping retro 2000’s-esque punk singles like petals on summer’s stage. Preceded by “Don’t Overdose and Drive,” “Winona Ryder,” and “Fishtank,” “I Call Shotgun” joins this upbeat yet emotive picnic and brings a generous offering of reminiscent relationship angst-citement (excitement + angst) . make the video for “I Call Shotgun” the perfect end of summer eye-full. The scene is set in the nostalgic style of “Saved by the Bell,” and its slightly more mature cousin, “Beverly Hills 90210.” Oh yes, and there is a burgeoning love story: The kind that many of us have experienced, as Happy. tell Atwood Magazine, “where things are still very new and exciting, and there is obviously a mutual interest, but the idea of wanting something more could possibly end things all together because the other person is not on the same page.” Neither of you know who is driving and who is riding shotgun. It’s the kind of situation that offers the option to either crash and burn, or ride along smoothly. Not both. From our understanding, yet passive perspective (because we are riding shotgun), we can only hope that the story takes our preferred turns. What a relief to see [spoiler alert] cute-blue-haired-pixie-glasses-girl join waxy-bleach-blonde-haired-skinny-glasses-boy in the pool to lend social support after “the jock” pushes him overboard in a poolside “Westside Story” style scuffle. The good guy wins! Hurrah!